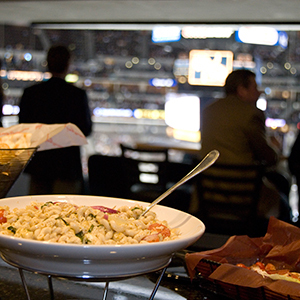 The luxury suites inside Oracle Park are the perfect venue to host your next event with friends, clients, or employees. The San Francisco Giants thrill fans with some of the best baseball in the MLB and you and your guests can catch all the excitement from your private suite. Once you’ve chosen your game date and suite, there are other details that you need to know before your event. 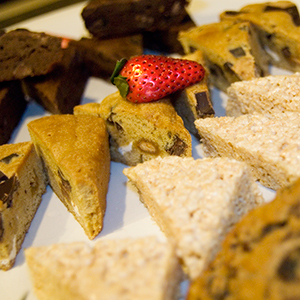 Make your guest list and then take the all important step of setting up gourmet in-suite catering. Many of SuiteHop’s clients assume catering is already included, but it is actually an option that you must order. 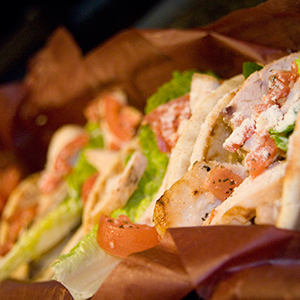 SuiteHop knows all the tricks of the trade to choose the right menu for you and your guests. 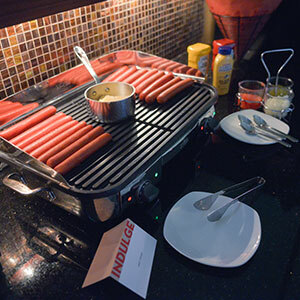 The catering in the Oracle Park suites is provided by Bon Appétit Management Company. Luxury suites require luxury dining options and the choices available will not disappoint. You won’t be waiting in line for concessions. You create a custom menu to please you and your guests throughout your time in your private suite. From snacks to full meals, sodas to top shelf craft cocktails, whatever you choose is sure to be perfect. The chefs prefer local ingredients and offer preset menus or will work with you to design your own! SuiteHop wants to make every step of the event planning process simple. Their experts have put together a catering guide for Oracle Park. This guide has lots of helpful information like tips for ordering for large groups and popular menu selections. If you want to keep things really simple, use the catering order form already filled out my SuiteHop to use our recommended selections for your private event. 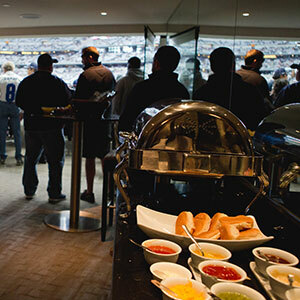 Catering in your luxury suite is one of the finest perks of the suite life. Don’t miss out! Ordering catering is a complex and confusing process. To help extend your catering budget, we recommend selecting family style items (such as pulled pork) instead of individual portions (steak). Most catering menus, including those at Oracle Park, require a minimum order of 6 portions. You do not have to order portion for every guest you are expecting to attend. 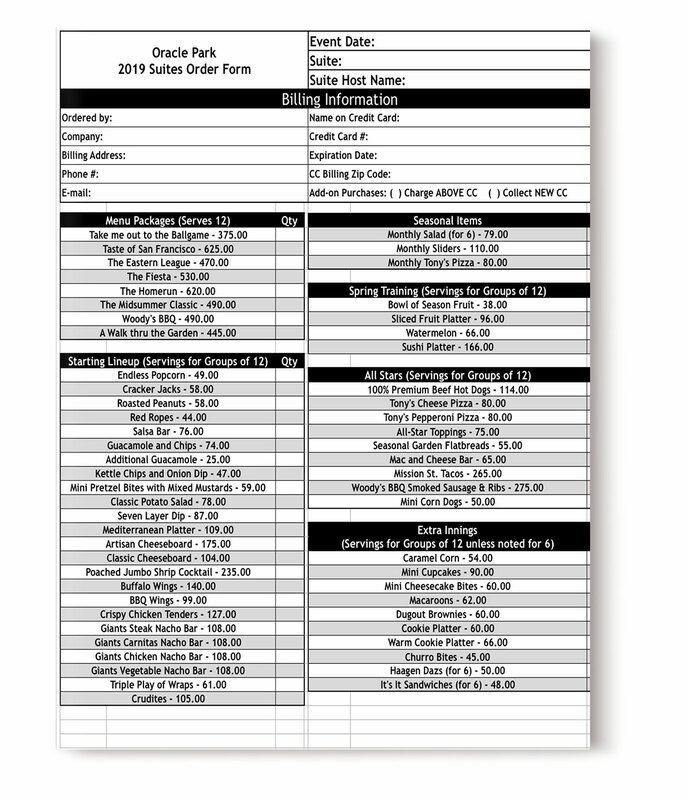 This menu is based off the 2019 Oracle Park Suite Catering options. Items are subject to availability. Don’t be left in the dark about the complexities of a catering order and end up with a surprisingly expensive bill at the end of the evening. 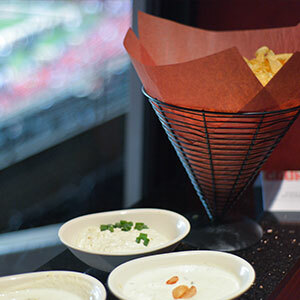 We’ve put together a list of our top Suite Catering Tips for Oracle Park. Be aware of the service fees. 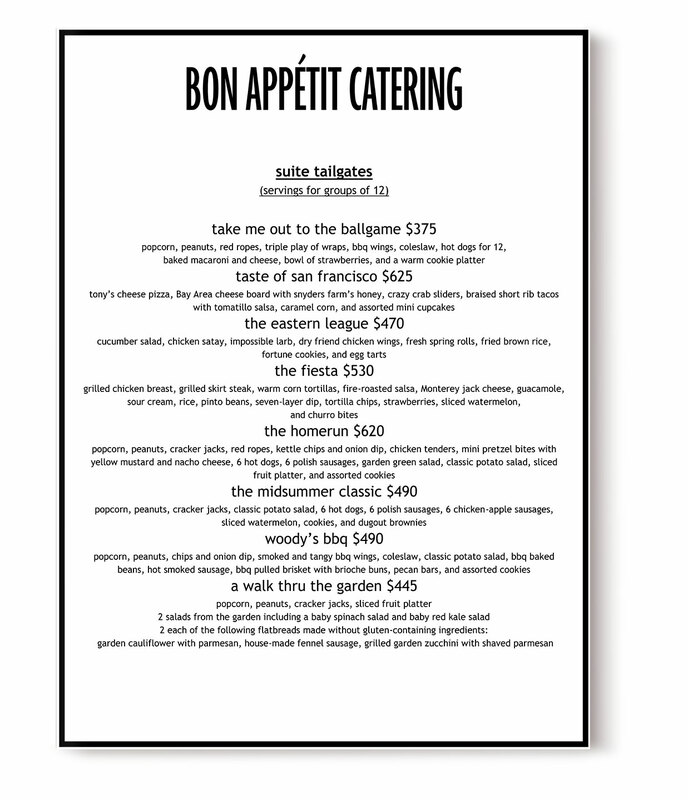 An additional 18% + sales tax is added onto your final bill to cover service costs from Cafe Bon Appetit.